How many episodes of Saint Seiya have you seen? Top Rated TV #131 | See the Top Rated TV as rated by our users. Q: How many volumes is the Saint Seiya manga series and who created it? Q: I've heard of a similer series called 'Knights of the Zodiac', is this the same series? 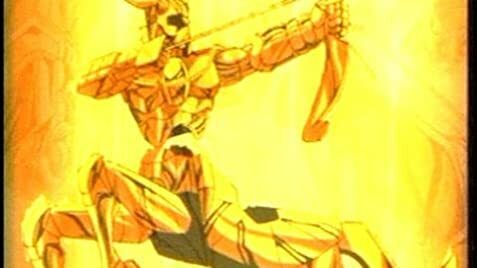 Q: Are there any movies of Saint Seiya? A true cult classic. Wonderfully aesthetic and thrilling. There'll never be enough space to describe how special this series really is here, but maybe it can't be said with words as it is. Saint Seiya is very much a visual experience, after all. The story, in a nutshell, is about five young boys who's task it is to defend the modern-day reincarnation of Athena against several threats. This translates into loads of very theatrical duels between these five Bronze Saints and their rivals, who happen to all be pretty boys with groovy armors and hairstyles. At a glance, it sounds terribly daft, but there's so much -more- in here than in your average boys-oriented battle series. For starters, the overall quality of the presentation is quite a surprise. Of course, for such a long TV series there are always one or two episodes that look a bit drab. But taking in the big picture, Saint Seiya has an immediately recogniseable visual style of it's own that really leaves an impression. Long, fluttering strands of hair (in some very groovy colors) surround faces with dreamy eyes, and the fine, stylised bodies of the characters are shot from many inventive angles and animated with lots of flair. Kudos also to the one behind the backdrops; Saint Seiya sports some of the most gorgeous background paintings I've ever seen. From ruins of Greek temples to snowy wastelands, every setting is painted with rich and exquisite detail. The music would really deserve a full review of it's own, as composer Seiji Yokoyama has done a marvellous job. Rousing, dramatic themes are the order of the day, who fit the scenes wonderfully and amplify the impact of the series no end. They also stick in your head forever, as do the punchy rock songs in the opening credits (it's the music that drew me into this series to begin with, actually. One listen of "Soldier Dream" and you're marked for life). The plots and structure of the battles have their own "typically Saint Seiya" style as well. What is remarkable is how much cruelty and sadness shows through here. Not just meaning that the fights get rather bloody at some points (Hyoga's duel against Milo of Scorpio), but also that a lot of the characters have painful pasts and deep traumas. This makes for a rich, and very interesting cast. The opponents of our heroes aren't plain "nasties", they usually have their own ways of thinking which pushes them to fight for their cause. 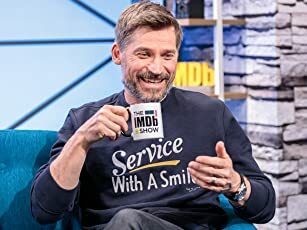 They're often misguided, or being used for someone's other dark means, which makes it all the more tragic to see them bravely dying in a battle to the limits, after they've shown such rich and fascinating personalities. There are only one or two truly "evil" characters among the enemies (and even they are very captivating to watch). The five young heroes have equally likeable and deep personalities (with the exception of mister big hero Seiya, perhaps), and develop distinct styles of thinking and of fighting throughout the series. It makes for a gripping experience, full of rich and very dramatic moments. Another interesting touch is the clever use of mythologic references. Each character is affiliated to a constellation, and often to a mythological figure as well. These are usually well-researched and very clever references, and it's probably the best job I've ever seen of bringing ancient myths up to date again, all while respecting the tone of the original myth. With such a long series (114 episodes), there are ups and downs, inevitably. Particularly during the first "Sanctuary" series, Toei larded on a big dose of filler episodes and soulless extra characters, purely for marketing purposes, who just hamper the series as a whole. The later "Poseidon" episodes are also rather dull and empty. The best of the series is concentrated in the latter Sanctuary episodes, and the tremendous Asgard series. Next to the TV series, there are also 4 short movies, worth watching just for the eye candy (the Abel movie is really wonderful to look at). All in all, Saint Seiya is and always will be one of the greatest works Japan has produced. 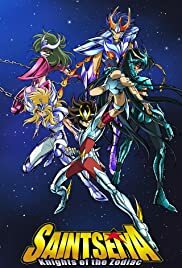 It has gathered a huge lot of very faithful fans, simply because once you've gotten into the flavor of Saint Seiya, you'll never be able to forget it again. Some may be put off by it's delicate visual style and baroque touches, but this was never intended for those who can't appreciate beautiful stories in the first place. Just a shame this is hardly known on the English-language market.